It's a bird it's a plane know it's Sheldon wearing a Hawkman shirt. Whoops, I think they should've went with our Superman shirt description. Oh well. 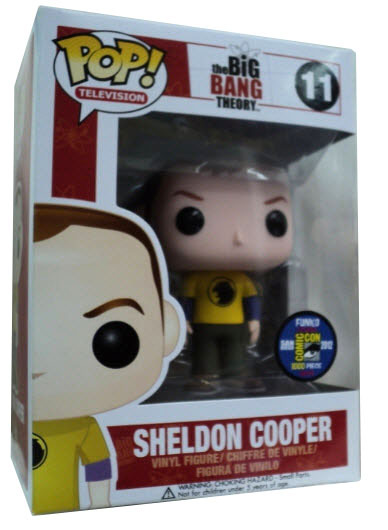 And another collectible form the SDCC San Diego Comic Convention with Sheldon from the Big Bang Theory. In this limited edition Funko vinyl figure one he is sporting Hawkman Tee Shirt looking real cool.